Hello my dear friends! Happy Sunday to all! 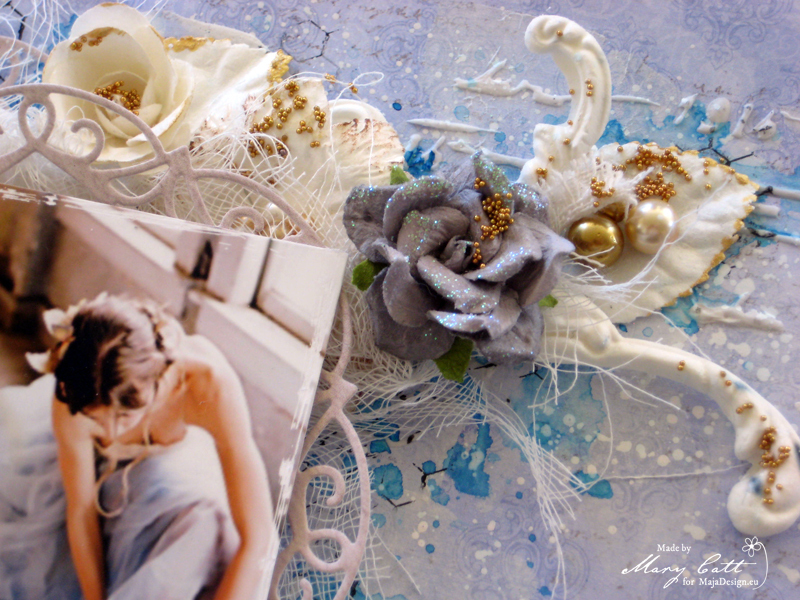 It’s Mary here with you today sharing my latest layout made with papers from two of my favourite collections, the ”Sofiero” and the ”Monochromes – shades of Sofiero”. 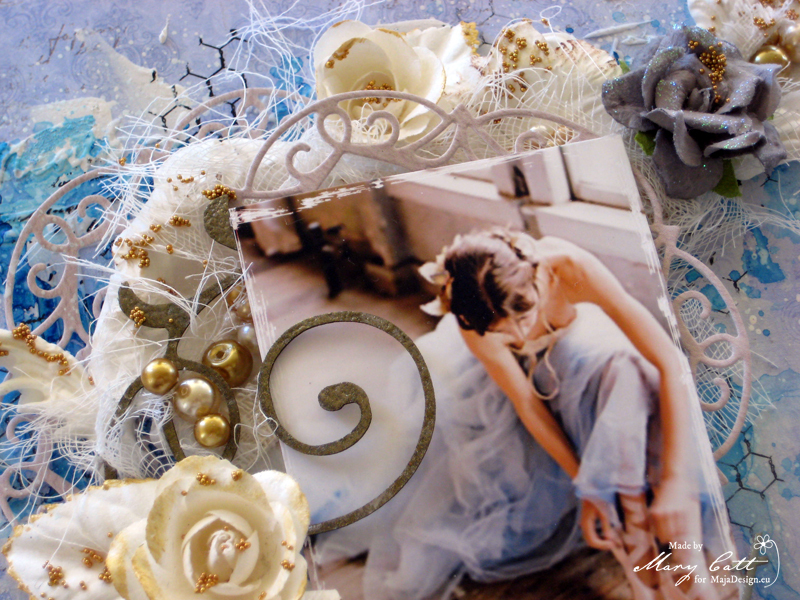 A soft romantic layout in blue and gold tones that was inspired by the beautiful photo which I found on Pinterest. And, before I continue I want to give all the proper credits to the ”unknown” photographer. I used for my background the ”The magnificent Flowerstreet” paper from the ”Sofiero” collection and I made a die cut doily with the ”White/Sand” paper from the ”Monochromes – shades of Sofiero”. I primed my background with white gesso and when it was dried, I added some texture with modeling paste and a stencil. Then, I colored my page using Lindy’s Stamp Gang sprays ”Baby Blue Eyes Aqua” and ”Hydrangea Blue”. 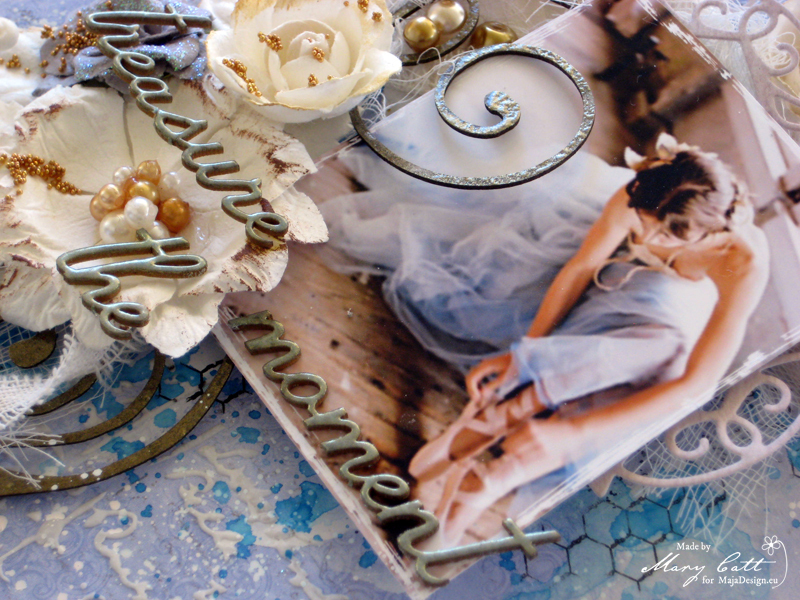 I heat embossed the ”Ada’s Flourishes” 2Crafty chipboard with ”King Midas Gold” Lindy’s embossing powder. The title was also embossed with the ”Madonna Rabe Blue” powder. 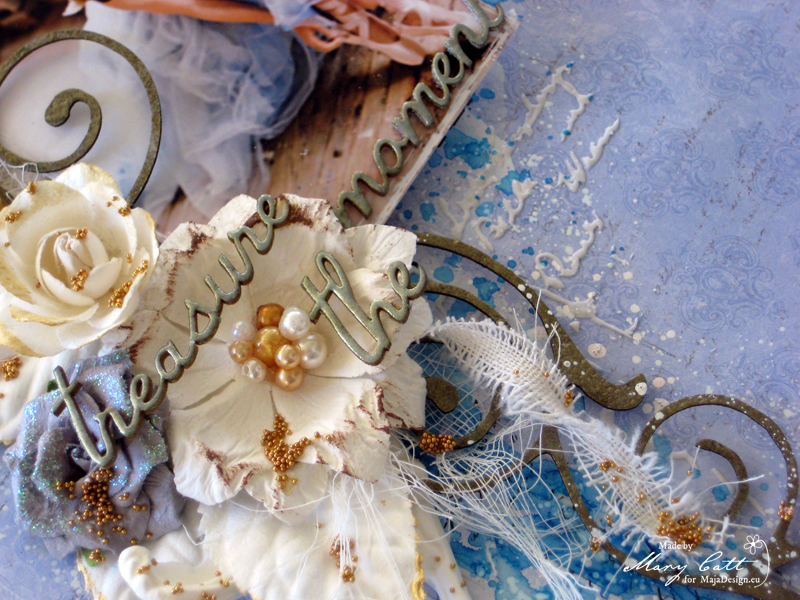 The title chipboards I used are 13arts and all the flowers and embellishments are Prima Marketing. To finish, I added some copper micro beads with gel medium and made some splatters with white acrylic artists ink. 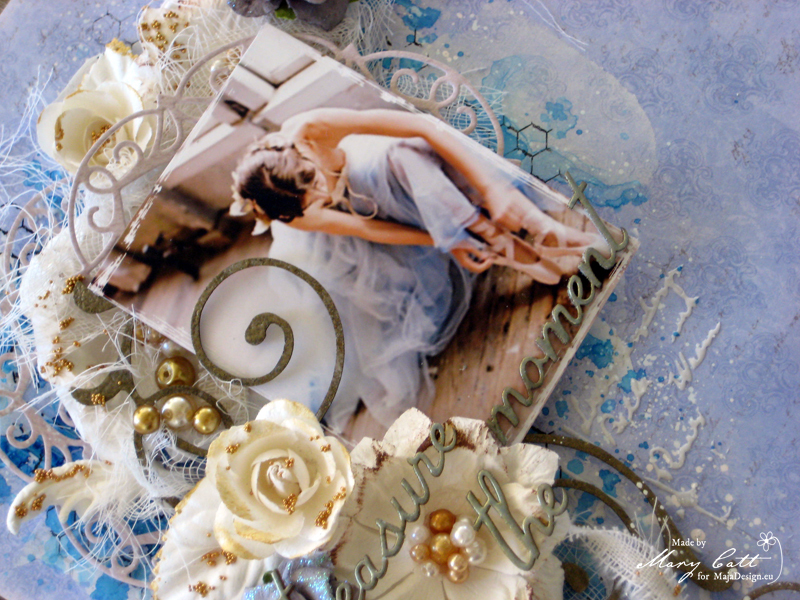 What a lovely and beautiful lay-out have you created. A very very beautiful layout here today. Love the soft tones that just seems sooo calming on the soul, when looking at it here. Really gorgeous work as usual hun.